To MUSE is to consider something thoughtfully. A muse is a person–especially a woman–who is a source of artistic inspiration. In 2013, Ann Morgan asked if I could do Margot Robbie’s color for her character Jess in the movie “Focus.” I made her really blonde by softening her base and adding lots of balayage highlights. (She’s such a beauty and very sweet, so it was great working with her.) Harpers Bazaar named her Golden Globes red carpet look the Most Sought After Hair Color of 2014. She looked so damn hot! Ms. Robbie went home to Australia and went brunette for her role in “Z For Zachariah” and showed up at The Academy Awards with long, dark retro waves. 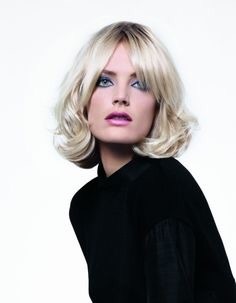 Then she was off to London, where she went strawberry blonde for “Tarzan.” For her role in “Suicide Squad”, Margot went platinum blonde with some blue and pink streaks–her look is amazing and so much fun. On the August 2015 cover of Elle magazine, she looks stunning as an apricot blonde, which is a must-have hair color for anyone looking for a change. 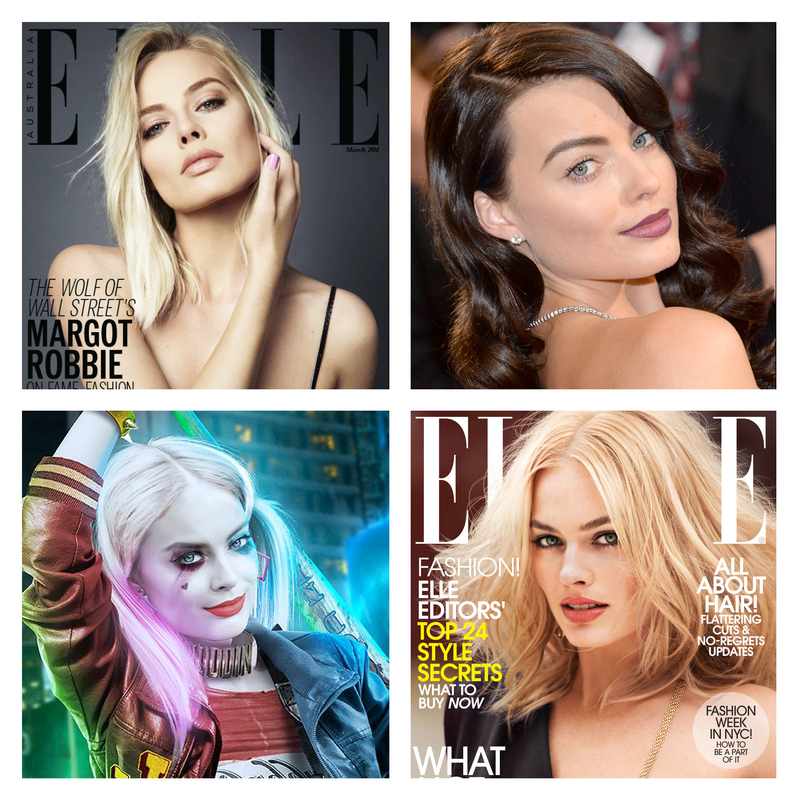 No matter what Margot Robbie does with her hair color, she’s HOT. Fall is here and with winter on it’s way the days are getting shorter and the nights longer. As the seasons change I myself am loving the subtle transition. One thing I love the most about the change in the season is the change in the color of the light – it’s absolutely beautiful. The tempature of the light is cooler and the way the light reflects on your hair color is different than summer. This is the perfect time for a change, a little modification can help keep it your hair fresh looking. Colors that come to mind and inspire me at the moment are cool pearl or pale champagne blondes. 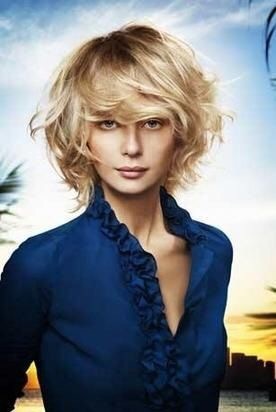 Blending warm and cool tones create a beautiful cynergy of beautiful blonde hair is always beautiful. 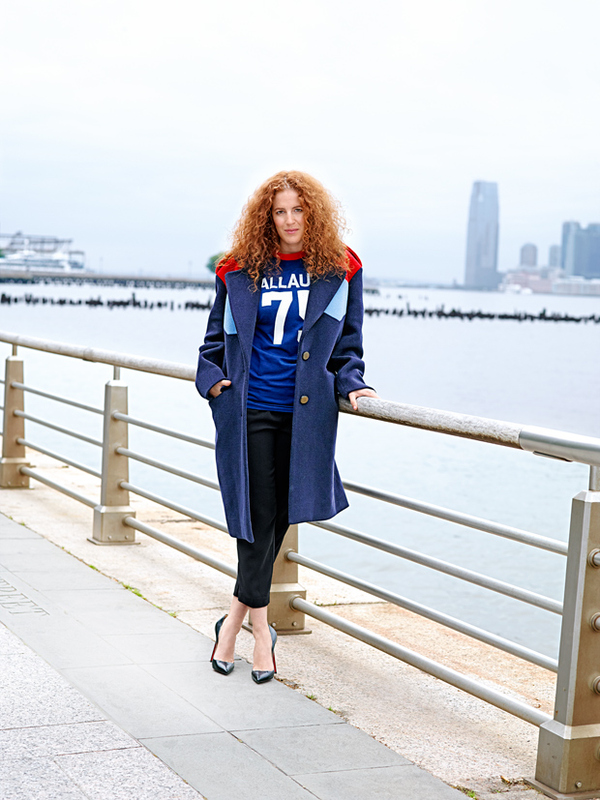 Even warm blushy light ginger tones are a great way to warm up your blonde hair. Try going a deep copper brown with rose gold painted balayage highlights this fall for a bolder look. Rich dark smokey nordic brown with light oyster brown bits and pieces always make a lovely all over color. Part of my job as a stylist is not only to give my clients the hair that will help uplift their look, but also give them an uplift in their life. With that said, myself included am always in the search of inspiration every day to motivate and to keep me driven in the direction of succeeding. I am very fortunate to have in my chair a variety of women who are successful in many aspect of their lives, so sometimes I find inspiration out of my own chair.